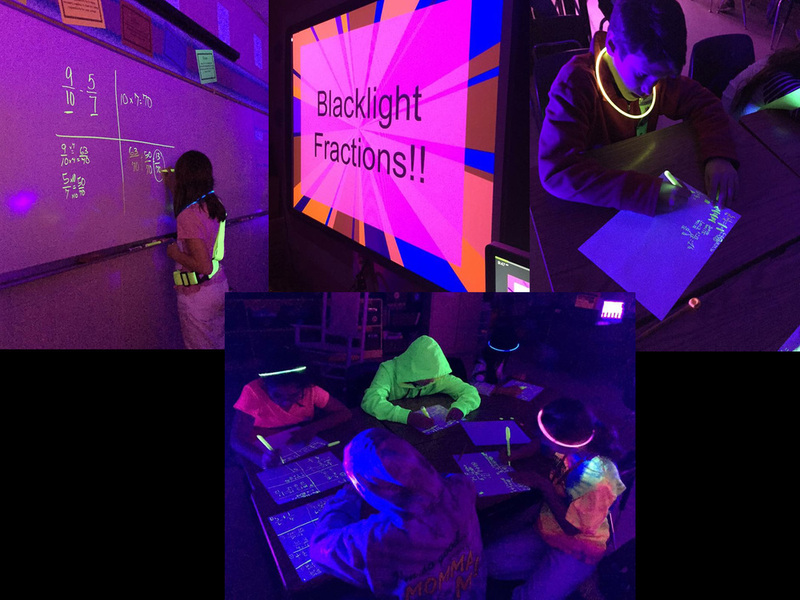 A creative elementary school teacher in Germantown, Tennessee had a fantastic idea to use the black lights the school had already rented for their Disco Dance to have a special Black Light Fraction party. What a great idea to make math fun! Lighting rentals aren't due back for a few days after your event so go ahead and think up some crazy fun ways to use them!